I already know that I will be walking a very thin line here, but I do it anyway. I totally and honestly think it is absolutely unreasonable to go and buy shoes just because the price is right and it is an offer, when you in fact don't really need those shoes. Here it comes, where quite a lot will disagree: you can never have enough shoes. Straightly following after that comes my point: I have exactly the same thinking when it comes to food. I am quick to buy things on offer or other food items where I think they might be lovely to cook with, while in fact, I haven't made any definite plans to use them. For example I almost every time buy ricotta when I see it on offer. The same is true to a lot of other cheese. You can never have enough cheese. Can you? There is of course one thing you could do before you are tempted to waste any food. You can simply eat it up the way it is. While that would be fine with some pieces of cheese, I just can not see this work for dried pasta or rye flour. It's so much more fun to give all those leftovers, forgotten food items, close to 'game over'-items and the like a second life. We are all looking forward to all the wonderful ideas you come up with. Due to this it would be very wonderful, if you join in with the No Waste Food Challenge. After all, you have a whole month to link up those posts and you don't have to think about any theme. You just have to keep in mind not to let any food go to waste. 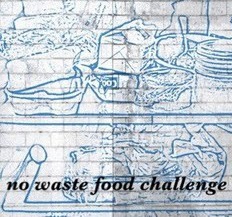 As you have gathered by now, this month I have the privilege to host the No Waste Food Challenge. While, Kate from Turquoise Lemons has launched the challenge and Elizabeth from Elizabeth's Kitchen Diary has taken over the baton for it now, you will see various other bloggers hosting it this year. 1. Please link up your url using the linky at the bottom of each month's challenge post. 3. Make sure you link up before the end of the month! 5. 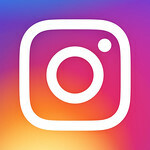 Please make sure your post includes a link back to Elizabeth's Kitchen Diary and Cooking Around the World. 6. Tweet @TangoRaindrop and @ChrisCH2011 (that's me) with the tag #NoWasteFoodChallenge and we will retweet all that we see. Shoes I can live without. Handbags however.... I'm definitely not a food waster and if in doubt, it usually becomes soup! This is one of the challenges I regularly enter so I should be along later to add my link. Yes, that is quite a good way, making a soup. You can use a great variety of ingredients and it's easily a winner. I am looking forward to what you come up with this month. Nice to see you hosting Chris. I've just submitted my link.